Rebuild your relationship with food and rediscover the guilt-free freedom behind your daily food choices. 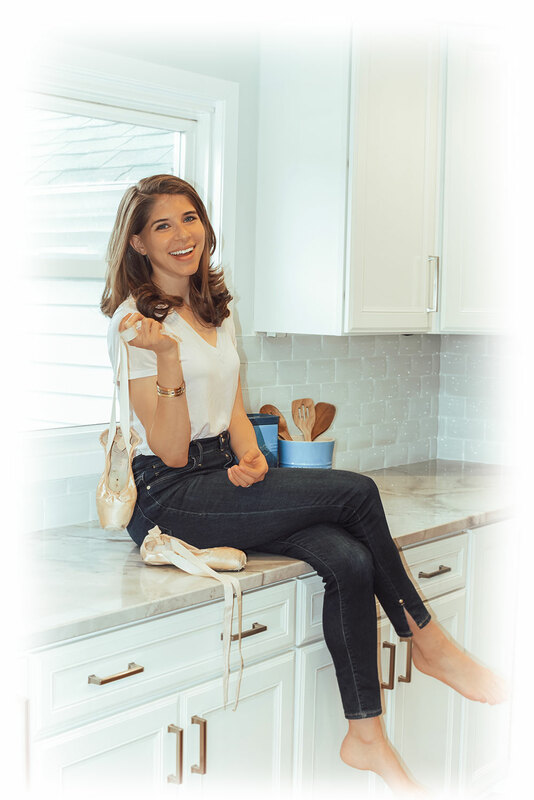 Rachel Fine, MS RD CSSD, is an internationally-known Registered Dietitian Nutritionist and creator of The Healthy Dancer™, the only dietitian-created program for healthy weight management for dancers and fitness enthusiasts. Rachel founded To The Pointe Nutrition in 2013 with the mission to provide certified nutrition education to dance and fitness professionals of all ages and levels. With a Masters degree in Clinical Nutrition & Dietetics from New York University, Rachel completed her Dietetic Residency at NYU Langone Medical Center and at The Mount Sinai Hospital. After receiving licensure and certification, Rachel joined the staff at NYU Langone Medical Center as a Clinical Dietitian and worked as NYU's Clinical Adjunct Co-Instructor for Medical Nutrition Therapy. Rachel's experience among populations in the performing arts stems further as she has been involved in research at NYU Langone's Harkness Center for Dance Injuries and currently holds the position as Adjunct Professor of Sports Nutrition at Long Island University (LIU) Post.